Can you be both vegan and working on recovering from an Eating Disorder? This presentation will explore the relationship between plant-based diets, orthorexia and anorexia. While many clients will do better on a omnivore diet, it is possible to counsel clients who wish to remain vegan and work on their recovery. This webinar will touch on various diets of restriction and how they overlap with eating disorder recovery as well as provide tools for dietitians working with these special populations. Define the various diets under a vegetarian umbrella (vegan, raw, plant-based, semi-vegetarian, lacto-ovo vegetarian, flexitarian). Identify three reasons one might choose these diet patterns. List three nutrients of concern in a plant-based diet. Discuss three ways to work with plant-based eating disorder clients. Alexandra Caspero MA, RD, CLT, RYT, is owner of Delish Knowledge and author of Fresh Italian Cooking for the New Generation. 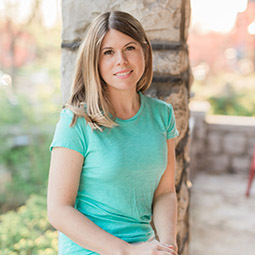 As a consultant and spokesperson, she works with like-minded companies to develop nutrition communication strategies, corporate wellness programs and recipes. Her award-winning blog, Delish Knowledge, focuses on making whole-food eating deliciously simple. Additionally, she is the co-author of Joyful Eating, Nourished Life, which helps others discover a happier, healthier relationship with food and their bodies. Alex has spent the last decade working with eating disorder clients, both in private practice and in formal treatment centers. Alexandra Caspero MA, RD, CLT, RYT, has no relevant disclosures to report. She has certified that no conflict of interest exists for this program. View our disclosure policy.